Dom's Photo Album Page 11 - Godzilla! 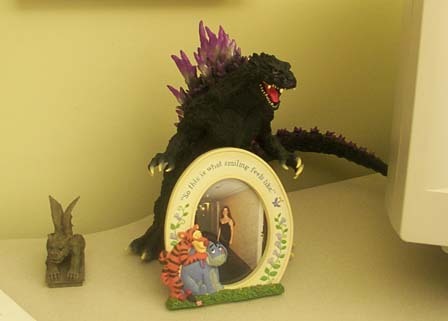 I bought a Godzilla to guard my desk at work. Here's what happened when Santa Pez tried to attack my desk. This is his normal state, guarding Kathi's picture too. 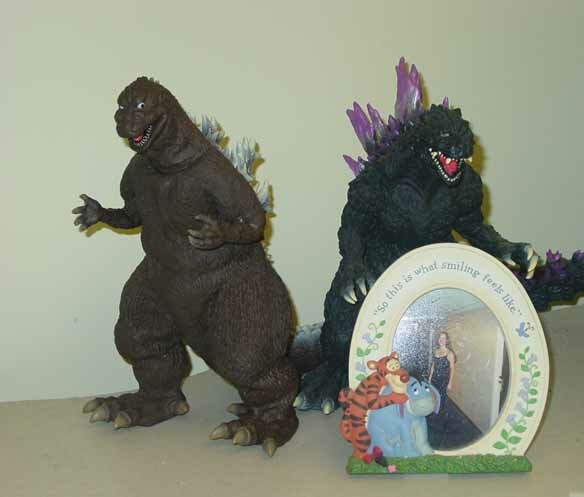 And now, Godzilla 1954 has teamed up with Godzilla 2000 to protext Kathi!